Santa Fe attorney Steven Farber, who has been quite displeased with my coverage of the death of Leland Valdez and who has never spoken with me once about what he views as errors in my reporting, wrote a “My View” 0p-Ed piece in Sunday’s New Mexican. The “My View” feature of the Sunday paper is a great way for people in the community to get their side of the story out when they feel we aren’t doing so. I love the fact that our paper gives him an outlet to the reader to make his case. Farber’s claim is that the newspaper, and me in particular, have been smearing his client’s name since the start of all this and letting the Governor’s Office spew erroneous statements about the case and about CYFD. As a result, he feels, people in the community now have a negative opinion about his client, which is the result of my reporting. 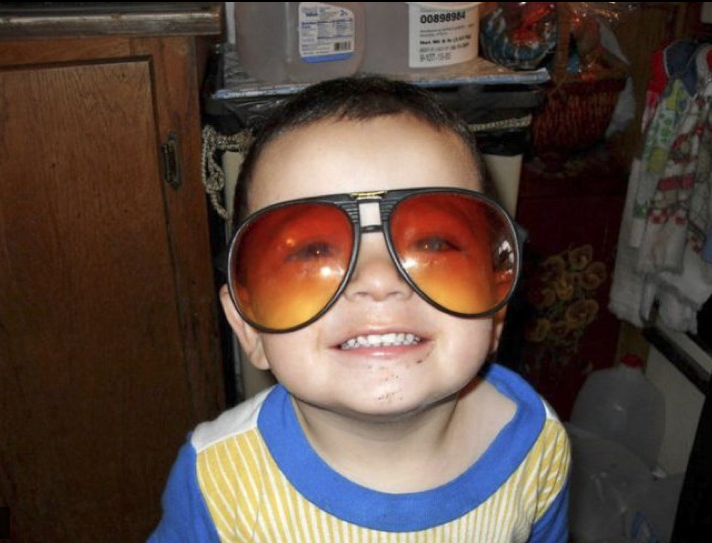 His client, CYFD investigator Donald Gallegos, was one of two state employees disciplined for their involvement in an August 2010 investigation into abuse allegations made concerning Leland Valdez, the 3-year-old boy who police and prosecutors say was beaten to death in his mother’s Pojoaque area home. An internal investigation into Children, Youth and Familes Department supervisor Gabriella James has led the agency to inform her she will be fired. James is the supervisor who reportedly made the call that abuse allegations from August involving 3-year-old Leland Valdez were unsubstantiated. That August abuse investigation, had it had a different determination, could have stopped a chain of events that led to the boy being in Tabetha Van Holtz’s custody at the time of his January beating death. 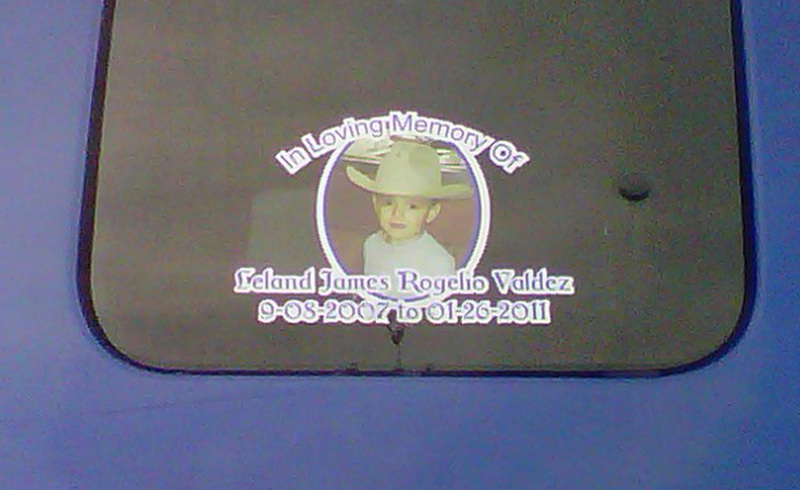 A cell-phone picture I snapped of a sticker on a truck window at Tuesday's funeral in Pojoaque for 3-year0old Leland Valdez. Julie Ann Grimm and I have been plugging away this week on a series of stories on the state’s Children, Youth and Families Department and the anatomy of the Leland Valdez tragedy. The package of stories with some new information on the case and CYFD as well as some re-purposed information from the past two weeks of coverage of the case will be featured in Sunday’s New Mexican. Hope you take a look.